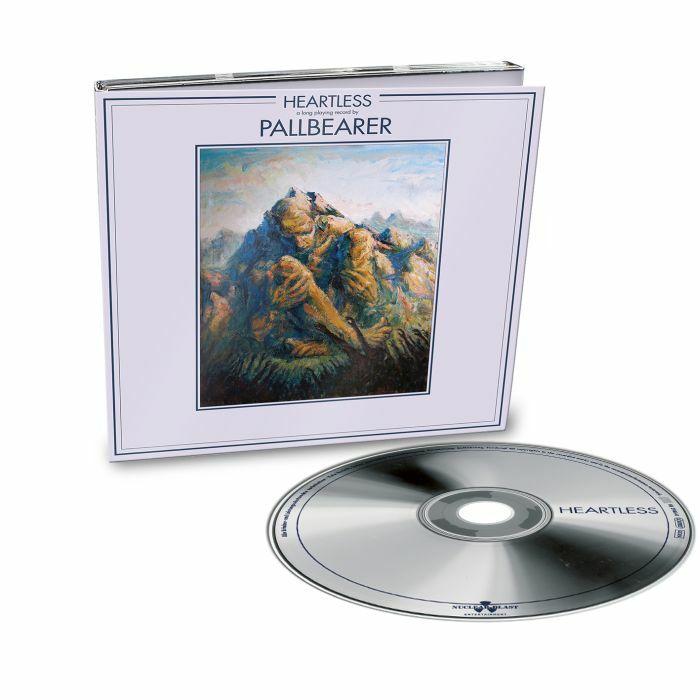 PALLBEARER - HEARTLESS LTD. EDIT. (DIGI) | Online Shop | Wizard LTD. Album: "HEARTLESS LTD. EDIT. (DIGI)"
From the gloriously complex, sky-lit opener &apos;I Saw The End&apos; to the earth-shaking (and heartbreaking) 13-minute closer &apos;A Plea For Understanding,&apos; the entire group puts forth the full realization of their vision: More than a doom band, PALLBEARER is a rock group with a singular songwriting talent and emotional capacity. »Heartless« finds the group putting forth their strongest individual efforts to date: Campbell and Rowland, along with guitarist/vocalist Devin Holt and drummer Mark Lierly, turn in peak marathon performances. Both Campbell and Rowland also handle synthesizers alongside their normal duties, and there are plenty of gently strummed acoustic guitars amid the crunchy electric ones, adding a moody, ethereal spareness to the towering metal. The almost 12-minute &apos;Dancing In Madness&apos; opens with dark post-rock ambience and moves toward emotional blues before exploding into a sludgy psychedelic anthem. A number of the seven songs feature a humid rock swagger.